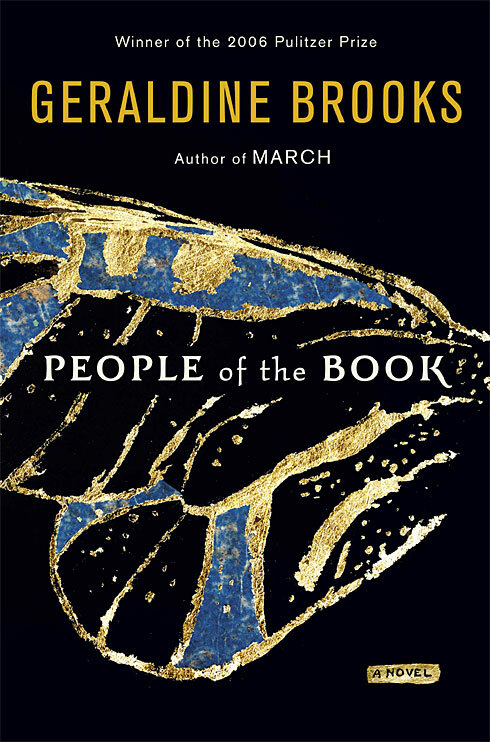 People of the Book is a novel by Geraldine Brooks. It’s a fictionalised account of the Sarajevo Haggadah‘s history. Australian book conservator Hanna Heath gets called to Sarajevo to appraise and restore the recently resurfaced Sarajevo Haggadah (it had been hidden from the war in Bosnia by the Muslim museum curator). She gets to work and finds several little things – a butterfly wing, a white hair, some stains – that each tell us a little more about the Haggadah’s history in WWII in Sarajevo, fin-de-siècle Vienna, 17th century Venice and 15th century Spain. People of the Book is a book that works better in theory than in practice. 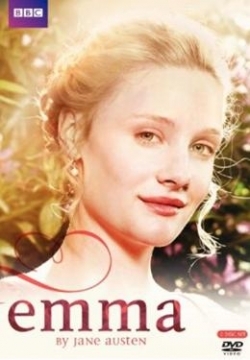 But it’s sufficiently well-written to still make for a rather good read and I liked its main character, Hanna. 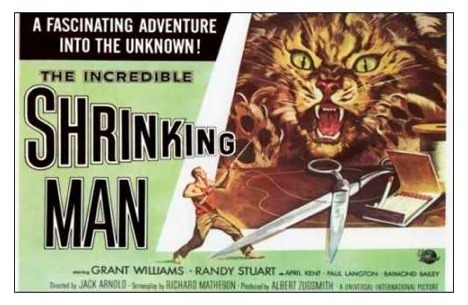 The Incredible Shrinking Man is Jack Arnold‘s adaptation of Richard Matheson‘s novel, starring Grant Williams, Randy Stuart, April Kent and Paul Langton. After being exposed to a strange mist and some insecticide, Scott Carey (Grant Williams) slowly starts to shrink. As his size changes, so does his life. Though his wife Louise (Randy Stuart) is very supportive of him, Scott can’t really handle his transformation and grows more bitter with every inch he loses. After being attacked by his housecat, he gets stranded in the cellar, where he has to fight for survival. Much as with Invasion of the Body Snatchers real fear never came with this film. 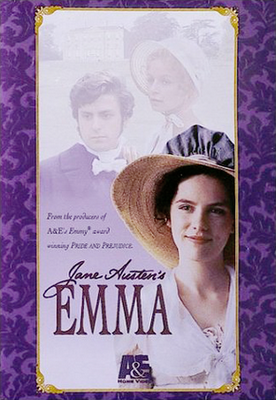 But it, too, was quite entertaining, though round the middle it dragged and the epilogue sucked. Invasion of the Body Snatchers is Don Siegel‘s adaptation of Jack Finney‘s book The Body Snatchers, starring Kevin McCarthy, Dana Wynter, Larry Gates, King Donovan and Carolyn Jones. Dr Miles Bennell (Kevin McCarthy) returns early from a business trip because he got the message that a lot of people in his small town wanted to see him, and only him. But when he arrives home, everything seems to be fine. Except for the few people who claim that the people they love are not their usual selves, even though they look and act just the same. Bennell is intrigued and togethe with his old flame Becky Driscoll (Dana Wynter), he decides to investigate. Soon, they make a pretty gruesome discovery. I can imagine that Invasion of the Body Snatchers was very scary at the time. But the scariness hasn’t aged very well and seeing it today, it’s mostly ridiculous. Deliciously so, no doubt, but still. That said, it’s an immensly entertaining and well-made movie. 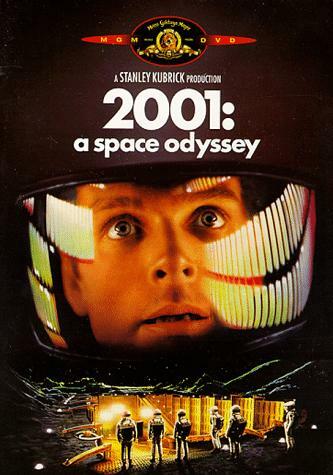 2001: A Space Odyssey is Stanley Kubrick‘s famous Science Fiction Epic, developped with Arthur C. Clarke and starring Keir Dullea, Gary Lockwood, William Sylvester and Daniel Richter. The film opens a long time ago, when a group of apes is disturbed by a suddenly appearing monolith which goes on to inspire them to use tools and weapons. We then jump quite a while into the future where scientist Heywood Floyd (William Sylvester) is sent to the (colonized) moon. Rumors have been going around that there’s an epidemic, but actually Floyd is there to investigate a mysteriously buried monolith. 18 months later, a mission is sent to Jupiter: 2 astronauts – Dave Bowman (Keir Dullea) and Frank Poole (Gary Lockwood) – 3 scientists and cryogenic hibernation and AI Hal (voiced by Douglas Rain). Hal is supposed to be infallible – but is he really? 2001: A Space Odyssey is a monumental film, but it’s far from perfect. Parts of the movie are absolutely excellent, like the science and the special effects. Other parts aren’t, like the sound and the mystery around the monoliths. And it does have some lengths, though it’s mostly surprising how little length it has. The Malcolm Gladwell Book Generator. Christian Bale, J. G. Ballard, Brad Anderson: Concrete Island. I’m in. Kremlin critic documentary stolen prior to Berlin premiere. CBS buys J. J. Abrams and Jonah Nolan’s Minortiy Report-esque TV series.